Telecom Fiji Limited (TFL) is currently rolling out a Next Generation High Speed Broadband Network where they bring Fibre Optic Cables closer to homes and businesses. This was revealed by the TFL chief executive, Mothilal De Silva during the presentation of a dividend cheque of $10 million to Amalgamated Telecom Holdings (ATH) on Thursday. Mr De Silva said they have already completed 30 per cent of this project and planning to complete it before end of this quarter. 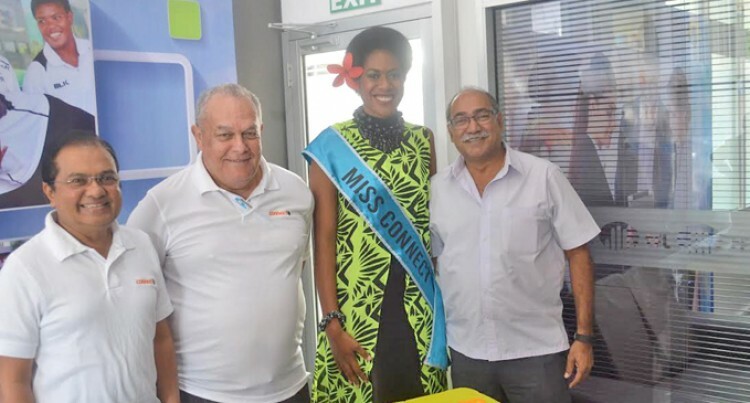 “Fibre Optic Technologies will revolutionise the Telecommunication landscape of Fiji, providing reliable and premium connectivity,” he said. “This will greatly enhance our customer experience. According to Mr De Silva, once completed Fiji’ s telecom infrastructure will be placed on par with the developed nations in Pacific. Also, he said they had a very successful pilot launch in end of last month for Connect 4G+ wireless network on Fixed LTE technology. “TFL 4G+ is highly suitable for indoor use where the penetrative effect of signals are high,” said Mr De Silva. Mr De Silva said in order to support the ever increasing demand for Internet Services, the company continued to expand its public Connect WIFI deployment with almost 200 hotspots around cities, towns and other major centres. The upgrading of the Government of Fiji department’s nationwide voice platform offering advanced communication features. Implementing full ‘turnkey’ infrastructure solutions for few major resort development projects across the country.